UPDATE: Justin Bieber and Hailey Bieber took part in a marriage ceremony at a New York City courthouse's marriage bureau on Thursday, two months after getting engaged, E! News has learned. However, it's unclear if they are legally husband and wife, as Baldwin tweeted on Friday, "I understand where the speculation is coming from, but I'm not married yet!" Justin Bieber and Hailey Baldwin arrived at a New York City courthouse via a side door around 4 p.m. on Thursday and got married in a back room, a source told E! News on Friday. "They didn't tell anyone they were doing it," another source told E! News about Bieber and Hailey's marriage ceremony. "They are doing a separate ceremony out of the country with a few family members soon as well." Reps for the couple had no immediate comment. 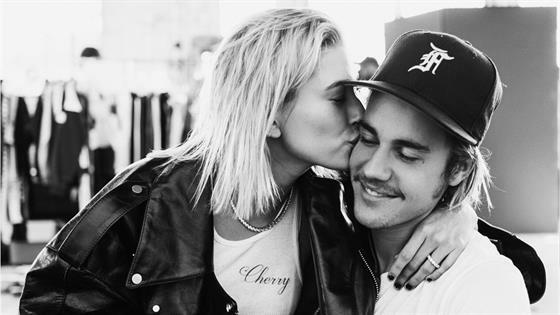 TMZ had reported on Thursday that the two were spotted that day at the marriage bureau and that Bieber was crying and said to Baldwin, "I can't wait to marry you, baby." On Friday, TMZ said the 24-year-old singer and 21-year-old model planned on getting married as early as next week, most likely out of the country, possibly in his native Canada, in a super small ceremony. A previous source then told E! News they had gone to the New York City courthouse to obtain paperwork, without elaborating. CNN said they were there to get their wedding license. Once submitted to the court, a New York marriage license application is valid for up to 60 days and a marriage ceremony must be performed either there in the office or anywhere in the state within that time frame in order for the couple to be eligible to receive a marriage certificate. In addition, a couple that has obtained a marriage license in New York must wait 24 hours before they can have a marriage ceremony unless they obtain a judicial waiver, which is usually only given in emergency situations. It is unclear if Bieber and Baldwin had one or had submitted the required paperwork before Thursday. Bieber and Baldwin, whose family lives in New York, got engaged during a trip to the Bahamas in July amid a whirlwind rekindled romance. Hailey had told The Cut in comments posted on Thursday that an amazing wedding planner was scouting out the perfect spot for her wedding, which would preferably be on the West Coast. "I just picture lights strung everywhere," Baldwin said. "I think having it in the woods would be so beautiful." Baldwin also told The Cut that she has chosen a wedding dress designer and that her sister, Alaia Baldwin, will be her bridesmaid. "I was hers last year," she said. "And maybe Justin's little sister as a flower girl. Is 10 too old?"